Paranormal group, Gatekeepers Paranormal, embarked on a charity ghost hunt at Todmorden Unitarian Church, where they witnessed a series of odd happenings which they think could be the calling card of a negative entity. Rob Pyke, one of the group's founding members, organised the paranormal event at the gorgeous old church, nestled in the Yorkshire countryside. The church closed its doors in 1987 due to a decline in congregation numbers and fell into disrepair. Luckily, the Historic Chapels Trust acquired the church and began restoring Todmorden's landmark to its former glory in 1994. The £150 raised by Gatekeepers Paranormal's ghost hunt at the church will help this work to continue. On the night of the ghost hunt three of the team were setting up and went for a preliminary walk around the building and got more than they bargained for when they descended the stone, spiral staircase which leads to the church's eerie cellar. Minutes later all three returned with three visible scratches on their forearms and the back of their necks. During their time in the cellar, none of the three investigators had been close to any walls and there was no obvious sign of what could have caused the abrasions. Once the investigation got underway, Rob lead another team to hold a vigil in the cellar. As any season investigator knows, this mostly involves sitting around in the dark waiting for something to happen while calling out to any spirits that might be present, encouraging them to show themselves ...and eventually they did. At one point in their vigil they witnessed a series of bangs, all of which occurred in bursts of three. Meanwhile, in the main area of the church, Rob's wife Anne-Marie and her team had not heard any of the bangs that the others had heard in the space below them whatsoever, but they had experienced some activity themselves. A table had moved seemingly on its own across the hard slate floor and at the same moment the guests picked up on the very pungent scent of sulphur. There were no grates, or other holes in the floor where this odour could have come from. The group ended their investigation with a séance using a Ouija board. The planchette soon started sliding around the board indicating a spirit presence. The group's medium, Chrissie Reddish, believed that whatever was trying to communicate with them couldn't be trusted and was trying to deceive them. Anne-Marie asked the spirit to identify itself and in response the planchette moved across the board to spell out "Z-O-Z-O". At this point a concerned Rob called an end to the investigation. 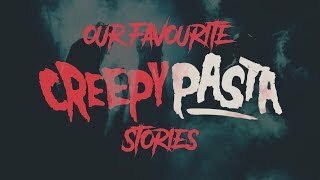 Having studied demonology for a number of years, he recognised that the activity they'd experienced over the night could be a sign of a demonic presence or negative spirit. The scratches and the bangs which occurred in threes was the first clue. It's believed by some that activity that occurs in threes can be seen as mocking the holy trinity and is often negative or demonic in nature. The smell of sulphur is also frequently associated with demonic hauntings and Rob recognised the name Zozo. This is said to be the name of an ancient demon, who makes himself known to those who dabble with contacting spirits, especially via a Ouija board. Initially the group hadn't performed any form of spiritual protection, but as soon as the scratches appeared on three of the team members they made sure everyone was protected and as a result of their time at Todmorden Unitarian Church, it's something the group now do without fail at the start of every investigation. 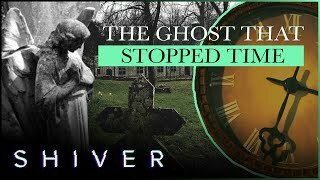 From time to time you hear accusations that paranormal investigators only embark on ghost hunts to make a bit of cash and for their own ego, many wishing to the follow in the footsteps of ghost hunting celebrities like Zak Bagans, but Rob's team are dispelling this myth in the most charitable way possible. Gatekeepers Paranormal has proved that it's possible to run paranormal events while raising money for charity, as they did during their investigation in Todmorden. It all started at the end of 2017 when Rob saw an advert promoting that year's Children In Need appeal. This gave Rob the bright idea to do something he loves while raising some well needed funds for the charity. Rob and Anne-Marie set out on a mission to secure as many venues as they could for 2018 and before long the group's calendar started filling up and more and more guests signed up to investigate with them, while raising funds at the same time. The first charity investigation they embarked on was at Abbey House Museum, in the couple's home town of Leeds. The museum, with its mock-up of a Victorian street lined with shops from that era, proved to be a great location and best of all, enabled Gatekeepers Paranormal to raise £700 for charity. Rob says, "as a group, we never take a single penny, never have, and never will, and we're actually proud of this - very proud indeed. It also adds to our credibility by that we are not in this field for any monetary gain, which i think speaks volumes." By the end of 2018 the group had raised a total of £7,500 for charity and are continuing to run events in 2019. With small groups of around 15 people and with the proceeds from the ticket sales being donated to charity, we're sure that Gatekeepers Paranormal are going to have another busy year. You can find out more about the group and their events on their official website, here you can also find out which causes have benefited from the money the team has raised, along with their media exploits to date.